Delta-SKIMMER (Helical Skimming System) is also used in both water and wastewater applications where there is a greater quantity of scum, or scum that is difficult to capture in a rotating Scum Pipe Skimmer. JMS Helical Skimmers, are typically used for continuous operation, and are equipped with rotating helical stainless steel blades, adjustable supports attached to a single reel, Nitrile rubber blades and a stainless steel beach and collection trough. JMS Skimmers are electrically powered and designed to minimize the disturbance of the scum. 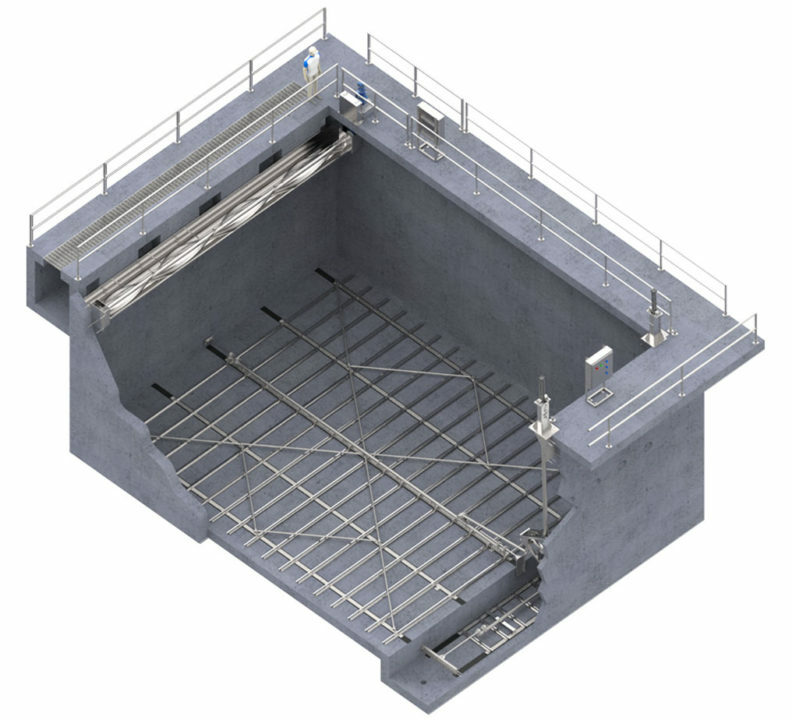 The design of this system often results in improved dewatering of the floating material as it is pushed up the stainless steel beach and into the trough. This helps reduce the amount of water carried into the trough.